upgrade to 64 / 128 / 256 GB etc. upon request. Quad-Channel operation requires at least 4 modules. Extremely fast and reliable SSD with high data transfer rates and ultra-short access times. Optimal performance for quick system-/program-startup and quick access to your projects, footage etc. 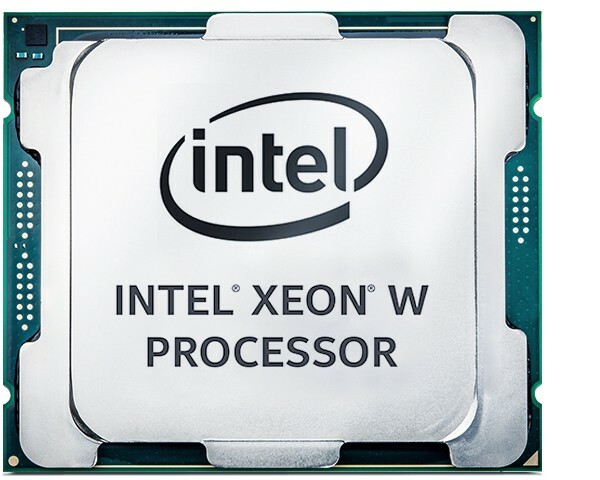 Passively cooled High-End Xeon® workstation mainboard with Intel® C422 chipset for high-bandwidth and maximum performance. Integration of 3 temperature-controlled, decoupled high-end silent fans (2x 140mm, 1x 120mm) featuring advanced, psycho-acoustically optimized blade geometry (and Vortex-Control notches) for high static pressure at low RPM. Metal reinforcements, smooth drive technology and self-stabilising oil-pressure bearing guarantee extreme durability and vibration reduced operation. 4x internal bays for 2.5/3.5-inch HDDs/SSDs, incl. internal backplane connectors to add/exchanges drives easily. Decoupled drives, quiet cooling.